Dimensions: Length: 62.6 centimeters; Curvature: 1.4 centimeters; Width at the Base: 2.51 centimeters; Width at the Point: 1.65; Kissaki Length: 2.44 centimeters; Nakago Length: 17.6; Nakago Curvature: 0.2. Features: The construction is shinogi-zukuri with an iori-mune. 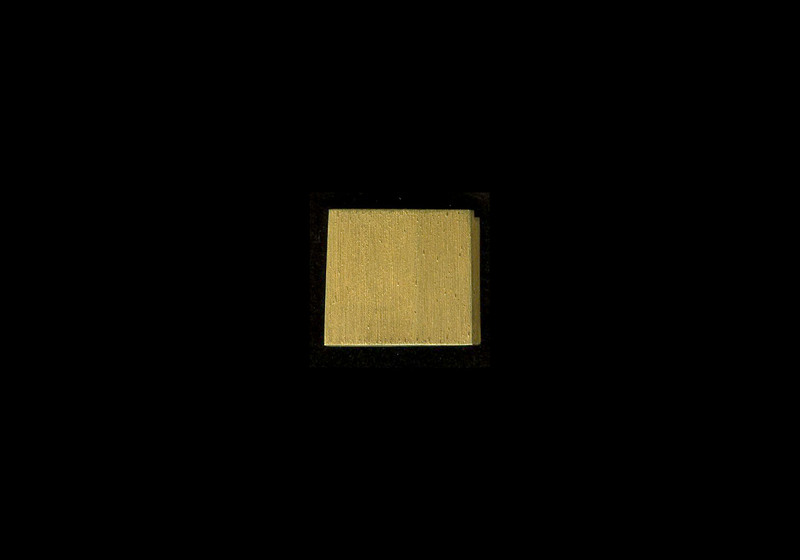 The width and thickness are average, and there is a difference between the width at the base and at the point. There is a chû-kissaki. The kitae is tight ko-itame that has a slight feeling of prominent hada, and that is well covered in ji-nie. 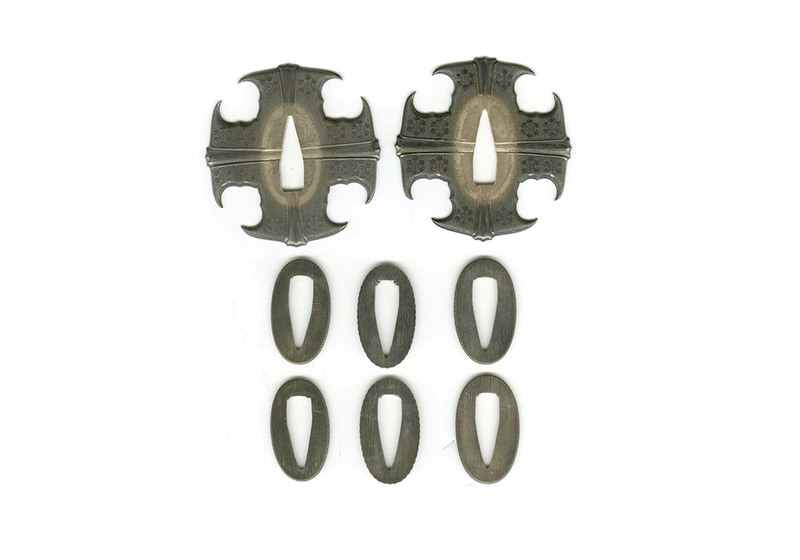 There is conspicuous bo shaped suji-utsuri near the ha, and dan-utsuri shaped midare-utsuri near the mune. 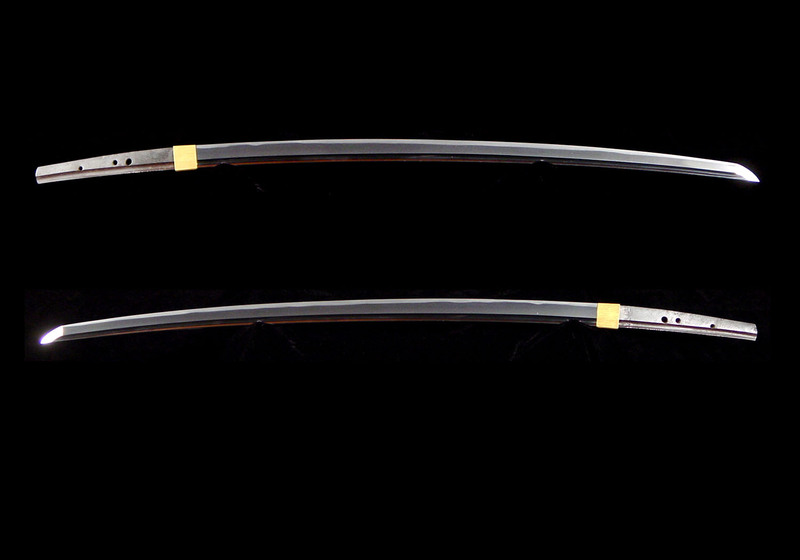 The hamon is ko-gunome mixed with ko-midare. There is a great deal of ashi activity with a mixing in here and there of togari-ba. The nioiguchi is subdued, and the habuchi is covered in ko-nie. The bôshi is a narrow tempering in sugu style with a ko-maru and kaeri. There are bohi carvings on both sides of the blade that run off the end of the nakago. 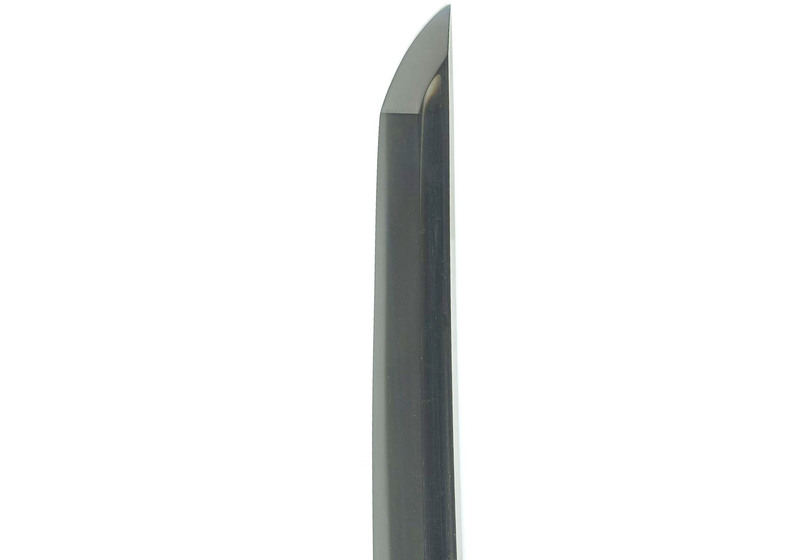 The nakago is o-suriage with a kuri-jiri tip. 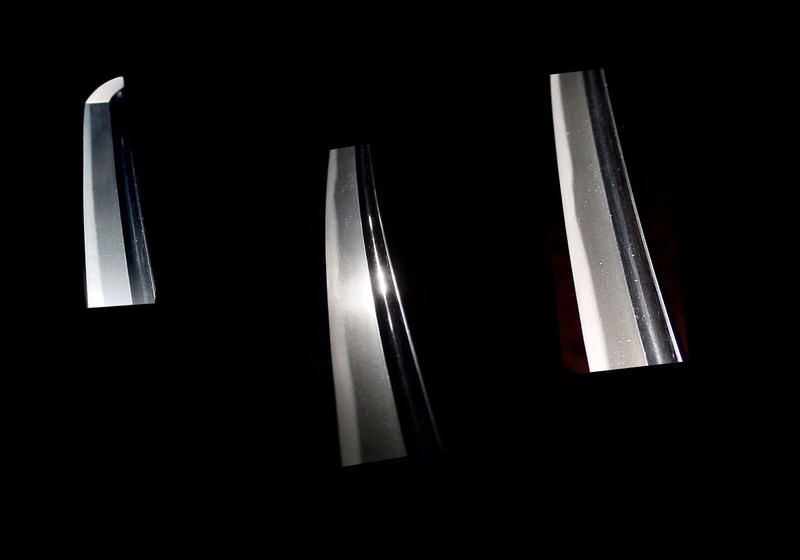 The yasuri-me are sujikai, there are three mekugi-ana and the blade is unsigned. Explanation: A book written at the beginning of the 11th century entitled Shinsarugaku-ki (New Record of my Travels) contains among the references to various provinces and the noted products they produced the quote, “the swords of Bitchu”. From that time to two centuries later, these swords have continued to receive high appraisal through the advent of the sword-smiths of the Aoe School. They prospered in an area around the lower reaches of the Takahashi-gawa. 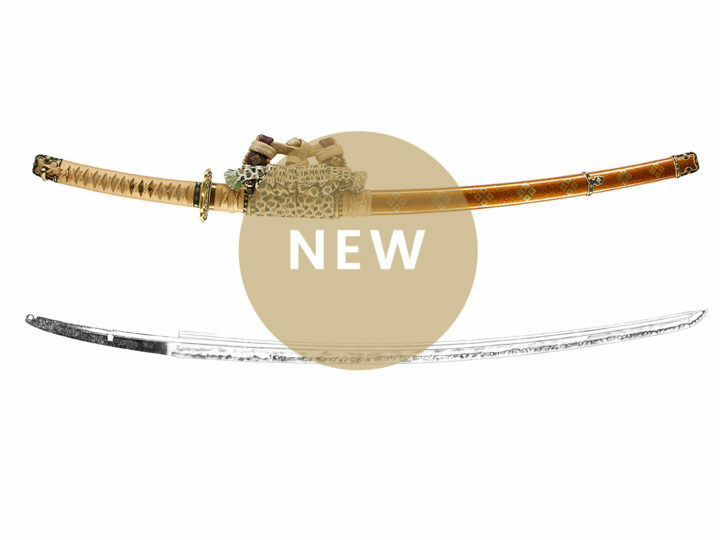 The designation of these smiths is divided into those who were active from the earliest period to around the middle of the Kamakura period as Ko-Aoe, and those who were active from that time into the Nanbokuchô period as Aoe. 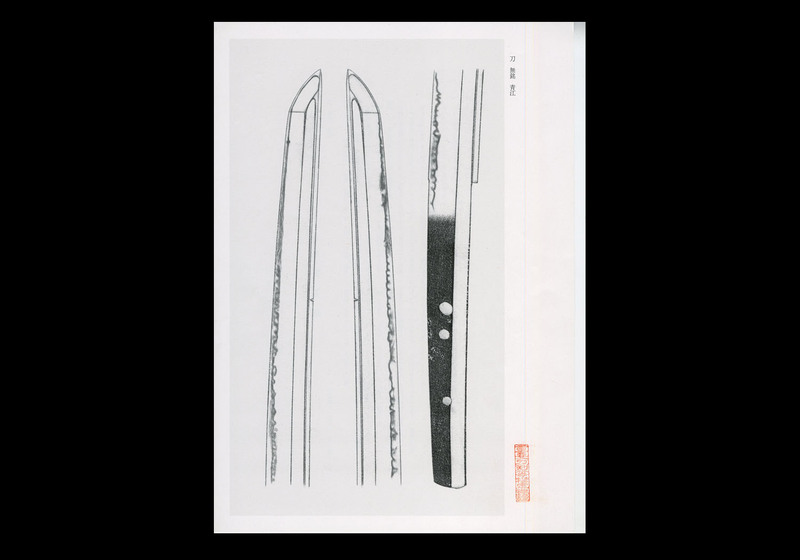 As for their styles of workmanship, the Ko-Aoe mainly produced swords that are ko-nie based with a somewhat subdued nioi-guchi, and a suguha style hamon with a mixing in of ko-midare. With the advent of the late Kamakura period, the nie covering becomes diminished, and, moreover, with Nanbokuchô works, the nioi-guchi is tight, and the workmanship becomes bright and vivid. 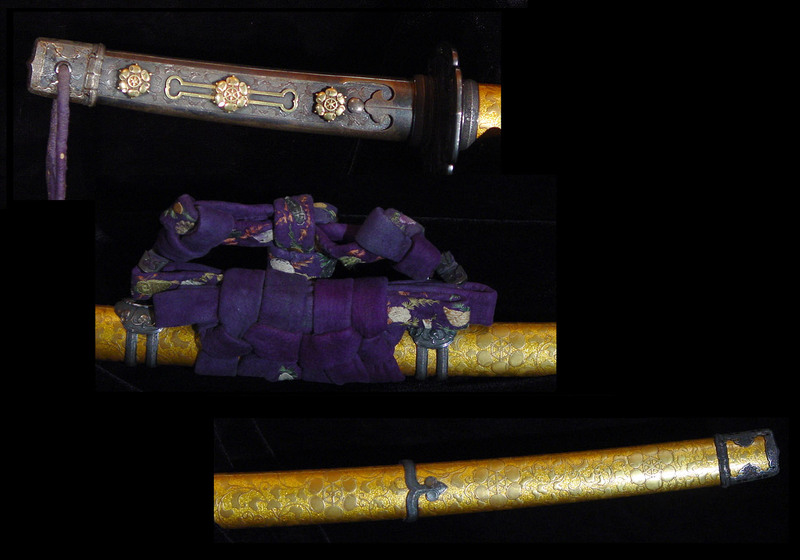 This katana has an itame kitae mixed with mokume that is covered in minute ji-nie. 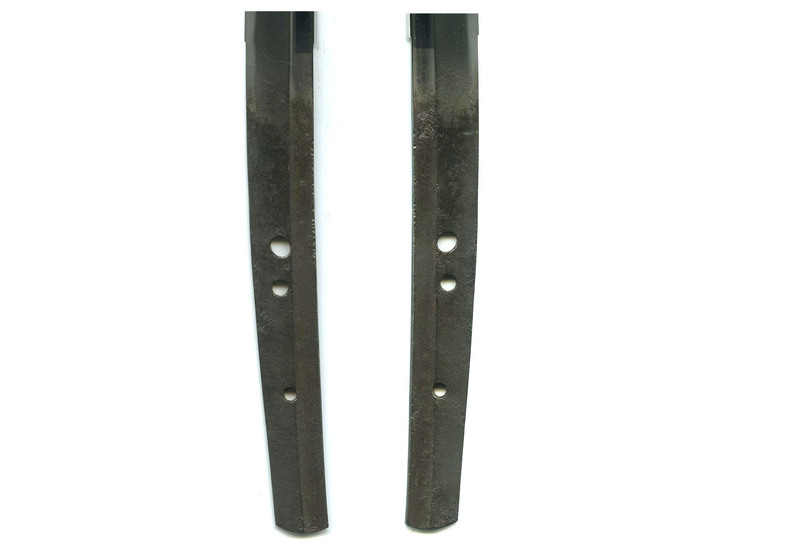 The conspicuous midare-utsuri and bo-shaped suji-utsuri are dan-utsuri in shape. 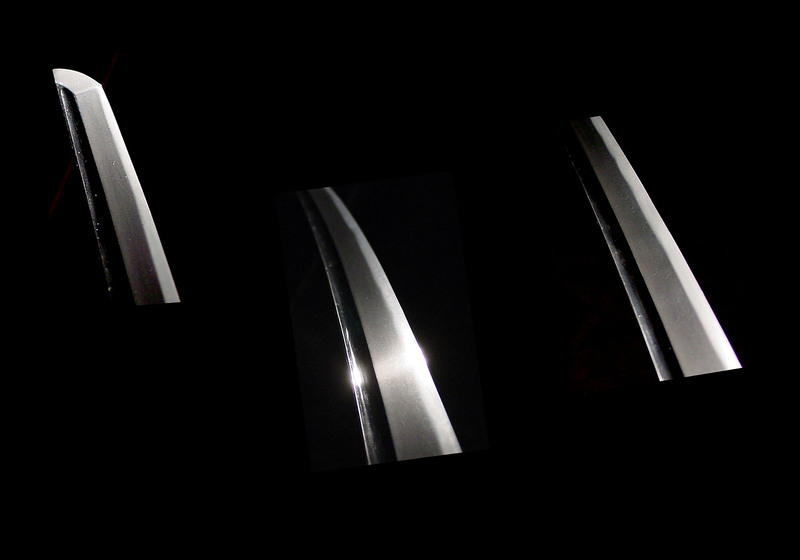 The hamon is chu-suguha with ko-gunome and box-shaped gunome with a mixing in of such shapes as togari-ba and yahazu-ba. There is a great deal of ko-ashi and yo activity, and the nioiguchi has a tight feeling, which are all the features in the style of workmanship. The width is average, and the curvature is shallow. There is a chu-kissaki. 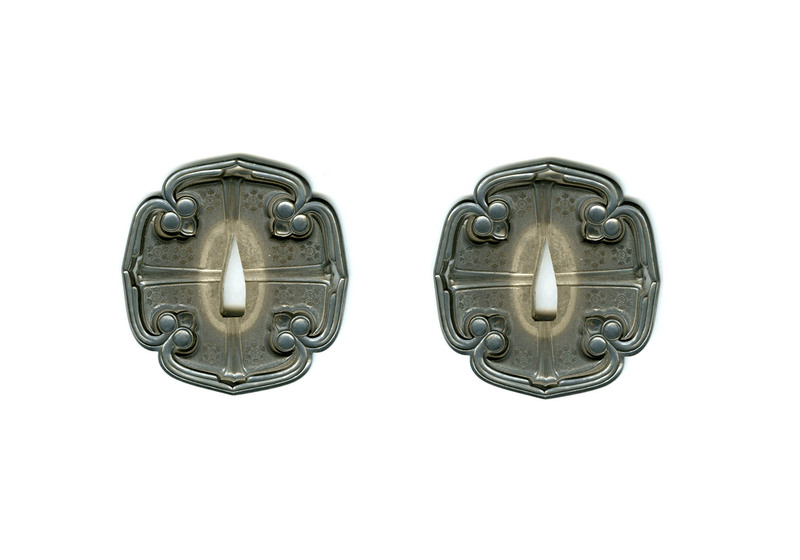 The style of workmanship is characteristic of the Aoe School dating to the end of the Kamakura period. In addition, the ji-ha is healthy, and the state of preservation is excellent. 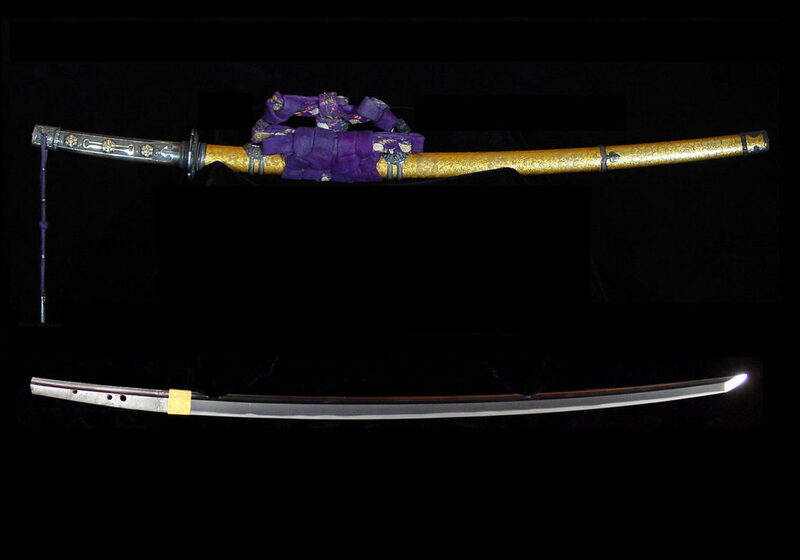 This fine blade was owned by the famous Doi Daimyo family and is accompanied by an outstanding tachi koshirae bearing no less than sixty (60) family mon of that family. The Doi were hereditary retainers of and advisors to the Tokugawa Shogunate family from the time of Ieyasu until the Meiji Restoration. The photos above do not do it justice. The metal components are done in silver nanako except for the tsuka which has six family mon done in solid gold. The lacquer is brilliant gold with tendrils and family mons done in gold. The koshirae is perfect with no cracks or dings to the lacquer. Truly a work of art. 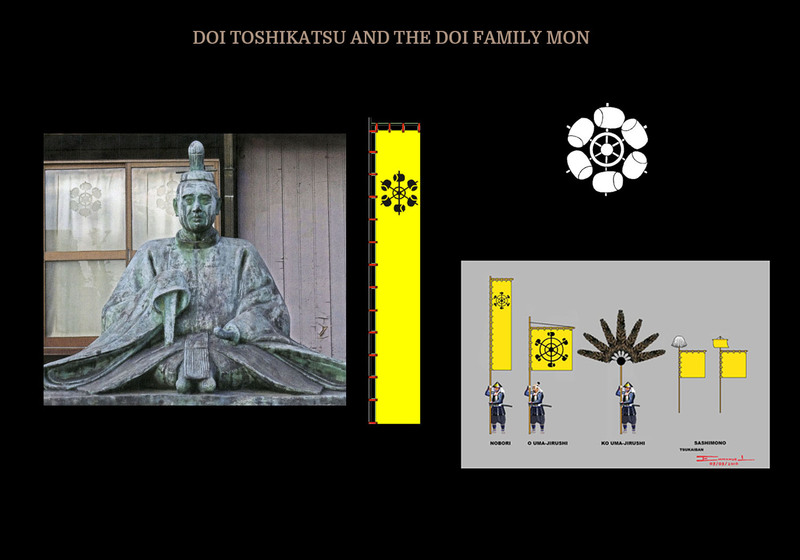 The Doi (土井) family was a Daimyô family that was native to Mikawa Province. Doi Toshikatsu (土井利勝) was born in 1573 and he passed away in 1644. He was the son of Mizuno Nobumoto who was an uncle of Tokugawa Ieyasu (徳川家康). Nobutomo was executed by Oda Nobunaga when he was accused of treason. Toshikatsu (利勝) was adopted by Doi Toshimasa and brought up with Tokugawa Hidetada (徳川秀忠). In 1601 he was made the Daimyo in Shimôsa and received a stipend of 10,000 Koku. He later moved to Sakura (30,000 Koku) and then to Koga (132,000 Koku). Together with Sakai Tadayo and Aoyama Tadatoshi, he was chosen as a counselor of Tokugawa Iyemitsu (徳川家光) the third Tokugawa shogun. Doi Toshikatsu would command Ieyasu’s ‘Yellow Regiment’, ki sonae, which may have been part of Tokugawa Hidetada’s huge contingent during the Sekigahara and Osaka campaigns. The banners of the Aka Oni Red Devils and the Ki Sonae Yellow Regiment are dazzling examples. There are rare examples of gruesome designs showing the gory nature of samurai warfare. And as disturbing as the designs are, they were meant as a tribute and to honor the dead. He had three sons, Toshitaka, Toshinaga, and Toshifusa, who created the three branches of the Doi (土井) family. The branch led by Toshitaka resided in Koga (132,000 Koku) until 1675. 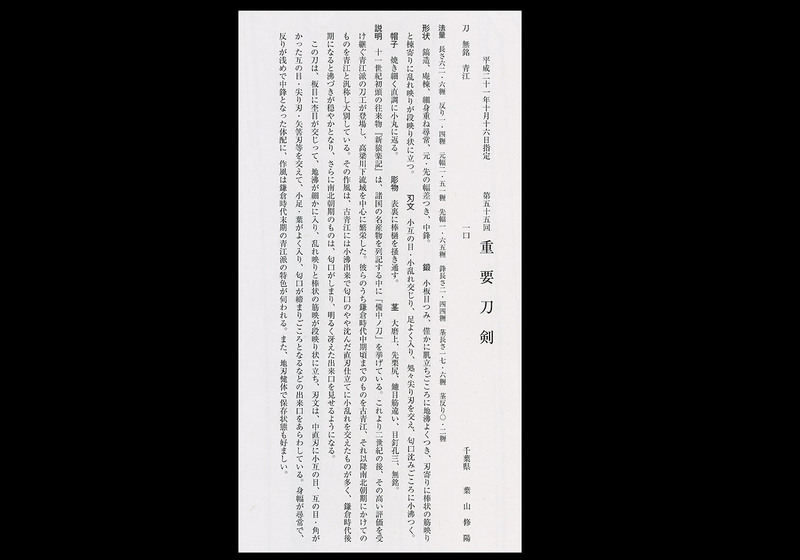 At that time that branch of the family was transferred to Toba (Shima Prefecture) with a stipend of 60,000 Koku. They stayed there until 1691 when they moved to Karatsu in Hizen Province. In 1762, they were transferred back to Koga in Shimôsa Province with a stipend of 80,000 Koku where they remained until the Meiji Restoration. Toshikatsu’s (利勝) second son, Toshinaga, founded the second branch of the family. That branch was established in Nishio of Mikawa Province. Later in 1747 they moved to Kariya in Mikawa Province with a stipend of 23,000 Koku. They remained there until the Meiji Restoration. The third branch of the Doi (土井) family was established by Toshikatsu’s (利勝) youngest son, Toshifusa. 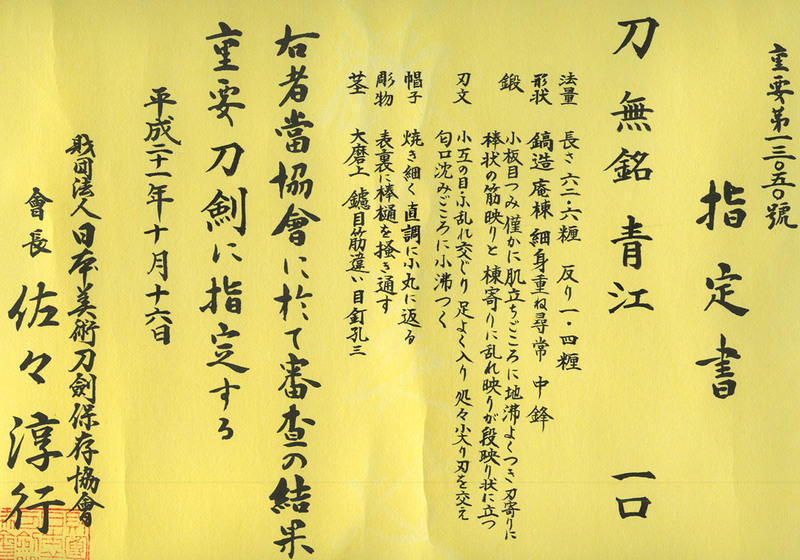 It was established in 1682 in Ôno in Echizen Province with a stipend of 40,000 Koku. They remained there until the Meiji Restoration. During the Edo period (1603-1868), the fief of Koga was ruled by many hereditary daimyo whose families had pledged loyalty to Tokugawa Ieyasu prior to the battle of Sekigahara in 1600. The families that ruled Koga included the Ogasawara, various branches of the Matsudaira, Okudaira, Nagai, Honda and Doi. Perhaps Doi Toshikatsu, who became Tairō (chief elder of the council of elders – rōjū) during the reign of Shogun Tokugawa Iemitsu, was the most famous ruler of Koga. Another famous ruler of Koga was Doi Toshitsura (1789-1848), who is sometimes called the “The Snow Lord”. Apart from being a key advisor to the Tokugawa Shogunate, he was the first person in Japan to seriously study the designs of snowflakes. He illustrated his findings in a book Sekka Zusetsu (Pictorial Illustrations of Snowflakes) and some of the patterns became popular for clothing and decorative purposes. I am very pleased to have come across a fine Chu-Aoe tachi from the Kamakura Era that belonged to the Doi family. Its koshirae is an extremely fine tachi koshirae that has no fewer than sixty Doi family mon on its metal and lacquer fittings. 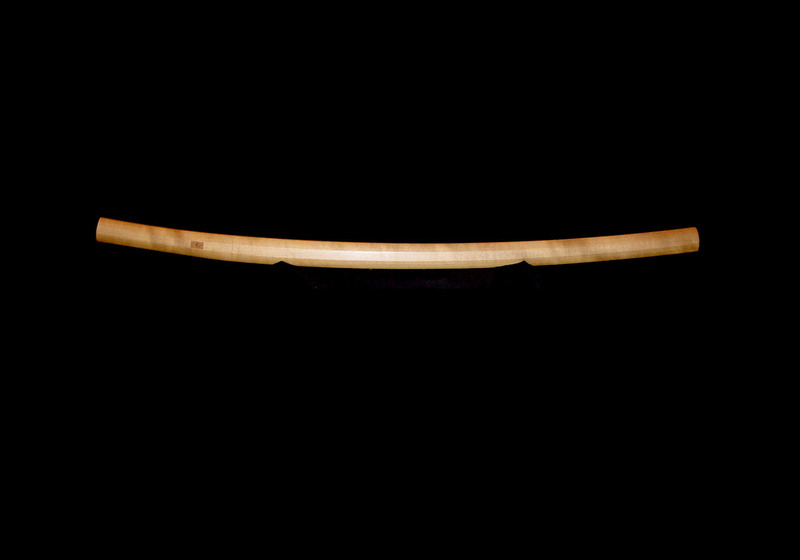 Due to the fact that this koshirae is from the late Edo era, it is very possible that it belonged to Doi Toshitsura. 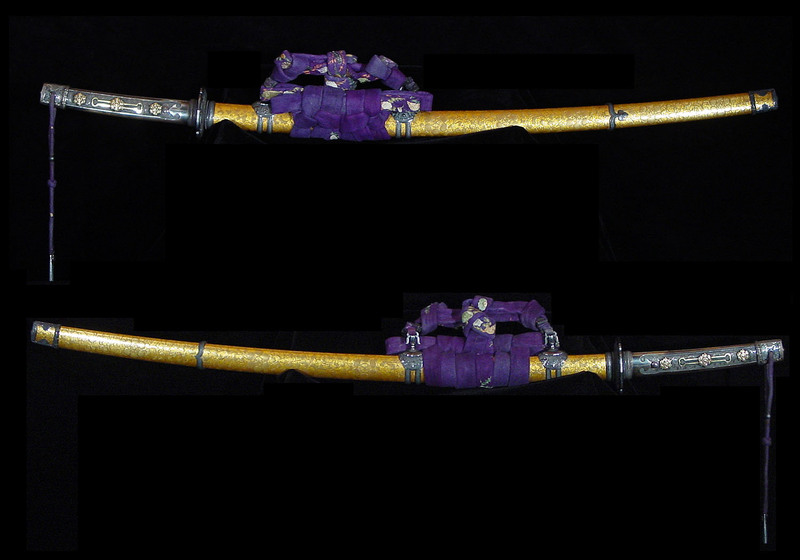 It is a real pleasure to come across a fine sword in a superb koshirae that we can trace to a noble heritage of ownership such as this tachi. The Doi family was instrumental in aiding the Tokugawa Bakufu to administer to the country for 250 years, right up until the Meiji Restoration. 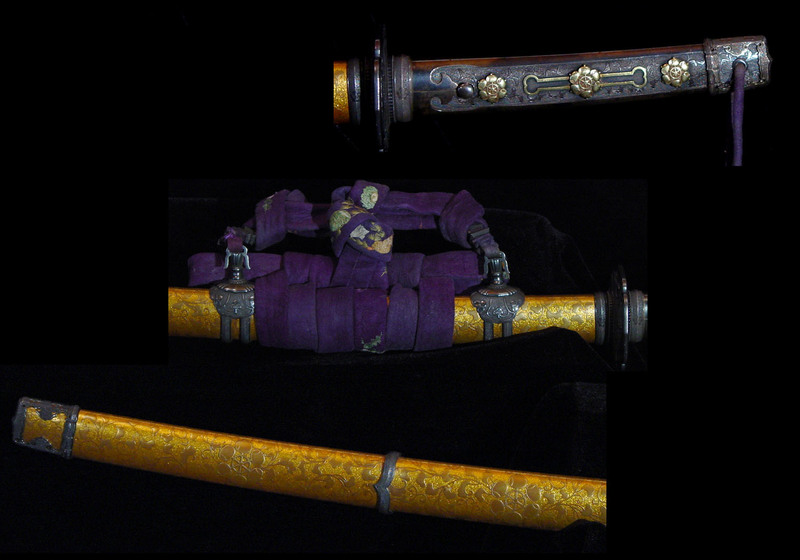 This sword and its koshirae are truly family treasures of the illustrious Doi family.